Last week Ava and I went to the Thanksgiving Pointe gardens with Granny O. 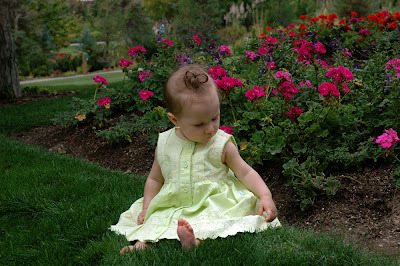 The gardens were very beautiful and Ava, who loves being outdoors, was in heaven. 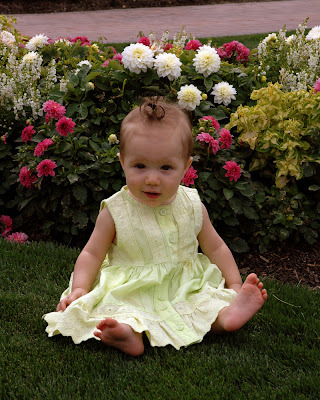 Ava was fascinated with the grass. 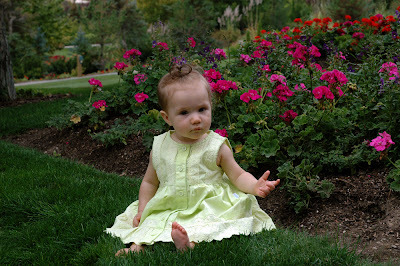 She also loved the colorful flowers. 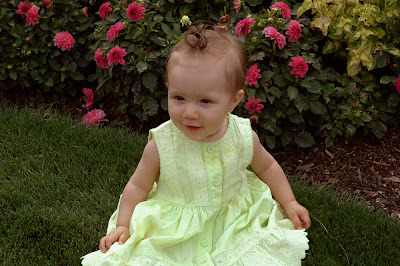 Ava had such a fun day and looks forward to going to the gardens again. Very nice Krista. Beautiful pics. I enjoy very much looking at your blogs. I thank Larry and you for sharing these moments with us. I really look forward to seeing them. At this point of my life it is one of the few things that brings happiness to me. Too cute...looks like she really enjoyed the "gardens"...well grass!! She's so cute Krista!! She is beautiful! I think its so cute that these little ones are so fascinated with grass. Nissa loves the feeling of grass too. How fun!